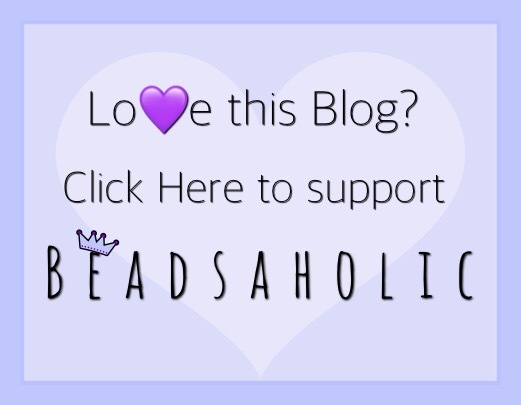 Today Beadsaholic brings a review of Aurora Tahiti Island and Bora Bora Island! It may be officially Autumn; however, it is hot and still beach weather here in the south, but to be fair most of the south is beach weather all year. I personally love to go to Florida in February, as it’s my favorite time of the year to visit. Also, less chance of running into a jellyfish or shark compared to this time of the year. With that said I have some very beautiful glass beads from Aurora that I am reviewing today. Honestly, these are perfect year-round! Aurora Tahiti Island is a beautiful green glass that looks like sea glass with a matte finish, just like the sea glass you would find along the beach. The two sterling silver end caps have a motif with Maori styled ocean waves. This bead measures approximately 12 mm high x 10 mm wide. This isn’t a large bead, but I personally like the size and shape. I hope in time they will produce more colors to collect in this size. Tahiti Island retails for €36.95, price includes vat. Aurora Bora Bora Island like the Tahiti Island looks like sea glass, the only difference is color, this bead is a beautiful turquoise blue! It also is matte finish with sterling silver end caps that have a motif with Maori styled ocean waves. This bead measures approximately 12 mm high x 10 mm wide. Bora Bora Island retails for €36.95, price includes vat. Now for some photos at different angles I took at Pass Christian Beach in Mississippi. Here you can see the Maori styled ocean waves a little better. I love how the green seems to glow! Another good photo showing the Maori styled ocean waves. Poor little guy died long ago, only his shell left behind. Living in Florida a good part of my life, I’ve seen many Horseshoe Crabs in the surf. I wonder if he would have enjoyed my beads as much as I? Maybe not. I paired Aurora Tahiti Island and Bora Bora Island with Aurora Happy Turtle, Frangipani Red & Yellow, Beach Signs, and Tiki Mask! I have taken photos at different angles so that you can see these beads a bit better. The photos were taken in direct sunlight. Now I just need Aurora Surfboard, three other Frangipani’s, Lotus Flower Blossom, and Vintage Summer Van to create the perfect summer bracelet with all Aurora! Luckily there was a covered area and I was able to get a few shaded photos as well. Here is a quick video I took while at the beach. I didn’t have a tripod with me, so it’s not the best. But it will allow you to see the beads with movement. Over all, it doesn’t matter the time of the year as I long to be sea side! If I can’t be there in person I can at least feel as though I’m at the beach through beautiful sea-themed beads. That is one thing I love about beads whatever you are in the mood for, no matter the time of year, you can create with how you feel. 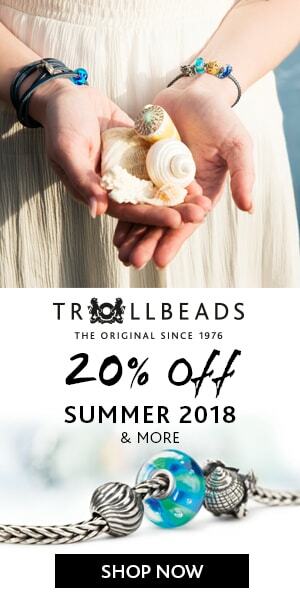 If you would like to shop for these beach themed beads or would like to browse the Aurora line you may do so at any of the following links. Also note, that all retailers below offer vat free shopping for those of us outside of Europe.